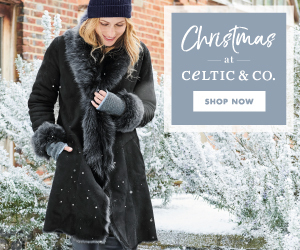 Celtic & Co. - 10% off our Christmas range and new banners available now! 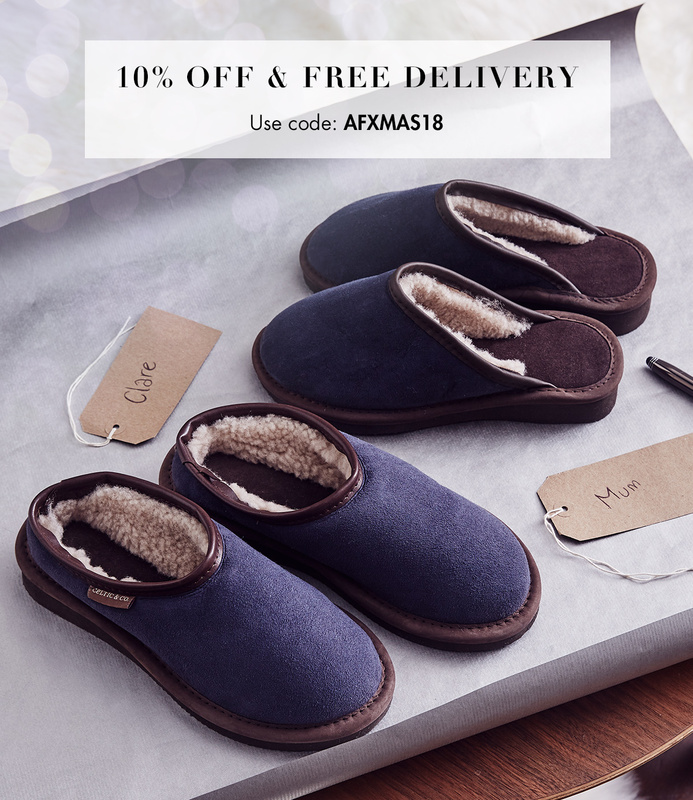 Christmas is fast approaching and we're offering 10% off and free delivery on our Christmas range with the offer code AFXMAS18. Our Christmas shop is now open too, featuring beautiful gifts for the whole family. Offer excludes clearance items and cannot be used in conjunction with any other offer. Offer ends 24th December. Now's the perfect time to promote our best selling categories, with new Christmas banners available in our creative. Please remember to replace !!!id!!! with your own affiliate id. If you have any questions or would like to discuss further promotional opportunities, please do not hesitate to contact us. Enjoy 10% off and free delivery on our new autumn collection! Use code 'AWAF18' at the checkout. Offer excludes clearance items and cannot be used in conjunction with any other offer. Offer ends 30th September. Don't miss the opportunity to promote savings of up to 60% in the Celtic & Co. end of season clearance! Please note that offer codes are not applicable against clearance items. We might be halfway through May but there's still time to enter this months competition. Promote our range of handmade sandals before the end of May; the content blogger with the most sales for the month will receive a free pair worth up to £62! We offer 7% commission to bloggers and customers can use code SANDALS18 for 10% off and free delivery until midnight on the 31st May 2018. Please note this competition is open to bloggers only, we will not be taking sales from voucher code sites into account. To enter, simply email a screenshot of how you're promoting us to naomi.angove@celticandco.com. For your use and to inspire you, below is some pre-written content about two of our bestselling sandal styles. Please get in touch if you'd like any further creative or images. With the sun finally shining it’s time to seriously consider which footwear can be relied upon to get you through the coming summer months. Celtic & Co.’s range of supremely comfortable flip-flops are sure to be high on many wish lists. Handcrafted in their workshop in Newquay on the north coast of Cornwall, they’re made from some of the finest materials nature has to offer. Our top pick is the Shearling Flip-flops; with a foot bed of sumptuous sheepskin there’s no better way to treat your feet. The thermostatic properties of the sheepskin cleverly helps to keep them snuggly warm in cold weather but also cool and breathable when it’s warm, making them a year round favourite not only suitable for the beach (they’re machine washable!) but also as open-toed slippers through spring and autumn. Coming a close second is their Nubuck & Suede Flip-flops. Since they feature soft leather straps and a cushioning suede foot bed, they quickly mould to your feet giving them lived in comfort that’ll make you never want to part with them. They’re also available in four colours; why choose when there’s a pair to go with every outfit! If you have any questions, queries, or would like to discuss further promotional opportunities, please do not hesitate to contact us. Promote our sandals during May and the content blogger with the most sales for the month will receive a free pair! Don't forget we offer 7% commission to bloggers and customers can use code SANDALS18 for 10% off and free delivery from 1st May until midnight on the 31st May. Please note this competition is open to bloggers only, we will not be taking sales from voucher code sites into account.